August has been a light month of reading for me. I lost two whole weeks of reading to moving into our new home. And since then, there have still been boxes to unpack and decorating to do, so I’ve had less time to read. That’s thanks in part to using a reading challenge that’s expanded the types of books I’ve been reading. You can see the goals for my reading list on the 2015 Reading List from PopSugar. The Clue in the Old Album is the 24th book in the Nancy Drew mystery series. This mystery follows Nancy, as she looks for a doll, and a little girl’s missing father. A book by an author you love but haven’t read yet. A book your mom loves – OK, I’m not sure that she “loves” this book in particular, but she is the one who got me started on Nancy Drew by purchasing my first several books. A book from your childhood – Granted, I hadn’t read this one until now, but Nancy Drew was very much a part of my growing up. A banned book – Did you know that when these books were first published, many libraries and bookstores wouldn’t carry the novels because they thought that Nancy Drew was not a proper role model for young girls. This was because she was often going off by herself, disobeying her father, and the like in order to solve her mysteries. 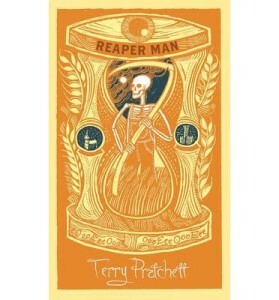 Reaper Man is the 2nd of the Death novels, part of the Discworld books by Terry Pratchett. The book follows Death, when he is unceremoniously fired from his job, as well as a few other people in Discworld who are affected by it. 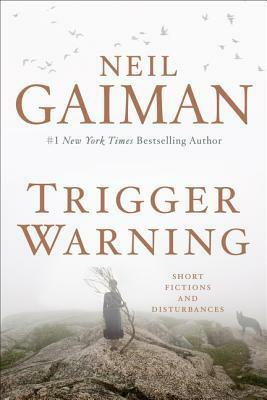 Trigger Warning: Short Fictions and Disturbances is Neil Gaiman’s 3rd book of short stories. His other two books of short stories are Smoke and Mirrors and Fragile Things. Trigger Warning contains a wide assortment of genres – from poetry to suspense. My favorite story in this collection would be hard to choose. All of the selections were wonderfully written. I was happy to read a tale about the Doctor, and even more pleased to see a story about Shadow, from American Gods. I think Click-Clack the Rattle Bag was the scariest story, in the sense of disturbing nightmare horror. However, the creepiest story was Feminine Endings. Even though it was only a short story, it took me a few days to get through because it was so psychologically disturbing. Perhaps that’s why this collection was entitled Trigger Warning. A Beginner’s Guide to Paradise: 9 Steps to Giving Up Everything is Alex Sheshunoff’s memoir of the 2 years he spent in the south pacific. I’m excited to be reading this for a full review, which should be ready shortly. Check out the rest of books I’m currently reading over on Goodreads. Man Repeller: Seeking Love, Finding Overalls is the 1st book by the acclaimed blogger and fashion darling, Leandra Medine. In this memoir, Medine recounts her most significant memories through the lens of her sartorial choices. Next → Next post: Booklr Questions – Where is your favorite place to read?